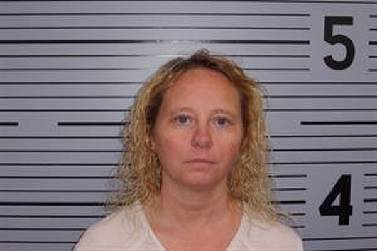 The former city clerk in Pisgah, Alabama, was sentenced last week to 10 years probation and ordered to pay restitution after stealing more than $64,000 from the town. Jennifer Lynn Hall, sentenced to 10 years probation in ethics violation case. Jennifer Lynn Hall, 43, pleaded guilty last week to felony ethics violation charges for "intentionally using her official position to steal $64,254 from the Town of Pisgah," according to a news release issued by Alabama Attorney General Steve Marshall. Hall had worked for the town of Pisgah since May 2008, town officials said Monday. Hall was sentenced in Jackson County Circuit Court on Thursday to 12 years, of which the first 10 years is to be served on supervised probation with the requirement that she make monthly payments of $535 in restitution, Marshall states. If Hall fails to pay off the full balance owed after 10 years, she must serve a two-year split sentence in the Alabama Department of Corrections. Also, if Hall violates the terms of her probation — including by failing to make a monthly restitution payment — the court may revoke her probation, Marshall said. The plea agreement also requires that Hall resign from her job with the city of Henagar in DeKalb County, where she was a magistrate. Hall is also prohibited from "seeking or accepting any position with a state, county or local governmental body while she is on supervised probation." Hall had worked for the town from 2008 to Feb. 21, 2017, when she was placed on suspension. Hall then was terminated on July 31, 2017, current Pisgah clerk Cathy Oshields said. Oshields was hired out of retirement in 2017. She had previously served as clerk in Scottsboro. "We're just glad it's finally settled where we can move on," Oshields said Monday. "It's a sad experience for everyone involved." In her guilty plea, Hall "admitted that she used her position and authority as town clerk to pay herself extra paychecks for compensatory time that she did not earn, accrue or have approved by her supervisor," Marshall said in the release. "Hall also admitted to manipulating the town's health insurance payments to force the town to pay for her family's health insurance coverage, costing the town $13,063." Marshall said he was "glad this defendant's breach of the public trust will be punished, and that the town of Pisgah will receive restitution for its loss." Marshall thanked the leaders in Pisgah for their help in the case, and commended assistant attorneys general Kyle Beckman and Jasper Roberts and special agents of the attorney general's Special Prosecutions Division for their efforts.